Gorgeous masterpiece by Diamante Custom Homes. Enjoy elegant Estate Living in an Exclusive Gated Community on Scenic Loop in San Antonio! Contemporary Santa Barbara architecture infused with clever touches of the Mission and New Spanish architectural styles. Just minutes away from the I-10/1604 Corridor close to Shopping, Dining and the Beautiful Hill Country Golf Courses! New home to be built on .63 acres! 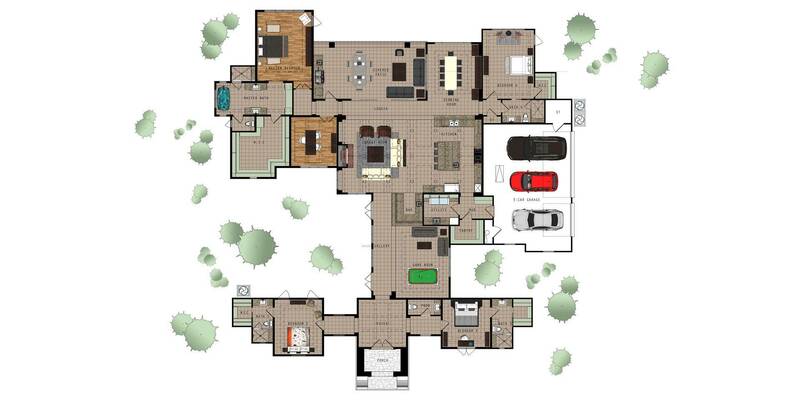 Custom material selections will be handled through personal interior designer with a streamlined building process. Soaring ceilings, big windows, chef kitchen, stainless steel appliances, custom cabinets, game room, full bar, two outdoor living areas, courtyard and more! NISD School District Floor plan rendering coming soon! The peaceful, relaxed setting of Cantera Hills is marked by spacious lots among rolling hills dotted with mature trees. If you’ve been looking for new homes for sale, you’ll love the look and location of the Cantera Hills subdivision. You’ll feel like you’re in the country, but will enjoy fantastic city amenities all without city taxes. 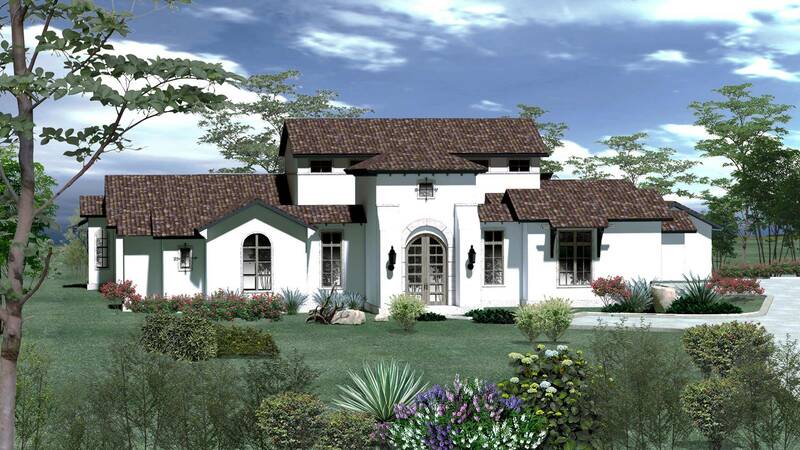 As this greatly anticipated residential development unfolds, be among the first to build your luxury home in Cantera Hills, a new San Antonio gated community from Denton Communities. Picture yourself and your family enjoying life in the stunning Texas Hill Country, watching amazing sunrises and sunsets from your gorgeous new home. You’ll love living in this alluring community. You’ll find Cantera Hills on Scenic Loop Dr., part of the extremely popular IH-10 West corridor in north San Antonio, just south of Boerne, Texas. The development is 270 acres with 156 residential lots. 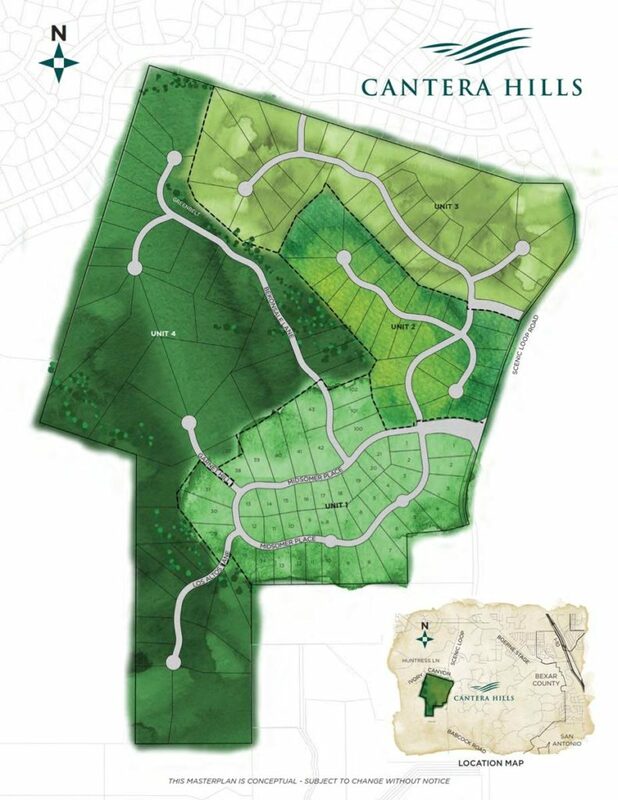 The lots are predominantly 1 acre in size, but range from just under 1 acre to as many as 9 acres, with the first phase of the community consisting of 48 lots on 55 acres. With so many amenities close by, you’ll thoroughly enjoy living in Cantera Hills.